ThoughtSphere is a software product company that focuses on enhancing the efficiency and effectiveness of processes in the pharma, life science and healthcare industries. Our market-leading technologies help pharmaceutical, biopharma, medical device companies and CROs to reduce development costs and better identify risks when managing clinical trials. If you are looking for better control of your clinical trials, near real-time overview, better quality data, more transparent and holistic risk management, and the flexibility to integrate different data sets and formats, you need to speak to us! Gain near real-time actionable insights for more effective RBM. The product range includes our ClinACT clinical analytics and Risk-Based Monitoring solution, ClinDAP data aggregation platform and SPACE site payment and contracting environment. We have built the only clinical trial data platform that ensures patient safety, maintains regulatory compliance and controls trial costs in a uniquely integrated way. Our new data management tool, DMSphere, and our new Business Intelligence (BI) Tool allow for enhanced trial oversight through faster, cleaner data and revolutionary data visualization and analysis. Contact us to find out more about how our innovative solutions can help improve the effectiveness of your clinical trials. Prior to founding ThoughtSphere, Pankaj was the global CTMS lead for the largest CRO in the world, Quintiles, handling customer demand and solution delivery across all product verticals. He also has experience in large pharmaceutical, life sciences, and biotechnology companies, as well as project management and solution architecture roles with Oracle’s North America consulting organization. Pankaj has a Masters in IT Business Administration and advanced systems diploma from National Institute of Information Technology (NIIT). Prior to founding ThoughtSphere, Sudeep was the global leader of products for the largest CRO Fortune 500 life science company in the world, creating and leading the strategy team behind a $60M integrated healthcare data hub. He also played a key role in defining the Risk-Based Modeling approach for optimizing the clinical development process and helped develop a best-of-breed RBM platform for the industry. Sudeep holds Masters degrees in Business Administration and Computer Science from Leeds School of Business. 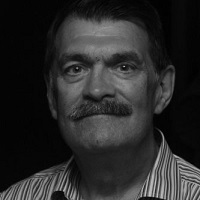 Andy Lawton is a Consultant at Risk Based Approach Ltd. Andy has over 30 years of industry experience, previously working at Boehringer Ingelheim as head of Biometrics and Data Management. Following this Andy was RBM working group member at TransCelerate BioPharma Inc. where he oversaw the development of generic RBA processes and was involved in multiple TBI publications, plus Regulatory updates to EMA, FDA and PMDA before moving to his current role as a consultant specialising in training and process development for Risk Based methods in Clinical Trials, as well as the introduction of ICH E.6 (GCP) Addendum (November 2016) changes to organisations. 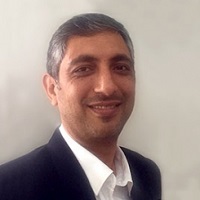 Dr Kher has a broad expanse of business experience in biological and clinical sciences and provides strategic and visionary direction and leadership for the ThoughtSphere team. A physician by training, Dr Kher practiced Clinical Medicine for seven years before joining the pharmaceutical industry in 1995. 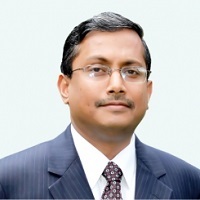 His experience within the pharmaceutical industry includes early drug development, pharmacovigilance, regulatory affairs and post commercialization medical product management, as well as overall strategic business planning, covering various therapeutic areas including diabetes, oncology, neuro-sciences and infectious diseases. He has been at the front end of expanding the business operations and development across the globe, including Asia and the USA. He has also helped companies in merger and acquisition transactions during his career. Professionally, Dr Kher is one of the founding members of PARTAKE (Public Awareness for Research for Therapeutic Advancements through Knowledge and Empowerment). 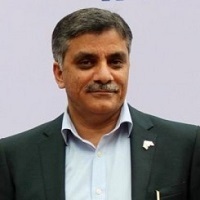 He also chairs the FICCI National Clinical Research Task Force and is a member of the FICCI Pharma Committee. He is also a member of the Department of Pharma Advisory Council for Developing Human Resources for Pharma Industry. Dr Kher spent his early pharmaceutical career at Eli Lilly and later as Senior VP at Vanthys Pharmaceutical Development (Lilly-Jubilant JV).